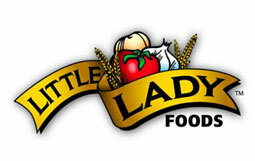 Surplus assets to the ongoing operations of Little Lady Foods. Primarliy in production of frozen pizza, frozen sandwiches, frozen pizza bread. Machines can be rebooted and set to size, refurbished or sold as-is. Ask your Aaron/AEK sales representative for details. Used- Raytheon RadarLine Model QMP 1879B Microwave Oven, 304 Stainless Steel. Approximate chamber dimensions 52" wide x 52" deep x 52" tall. Hydraulically operated door, opening 52" wide x 18" tall. Includes a Raytheon QMP 1759 transmitter, 3/60/480 volt. Serial # 0347. 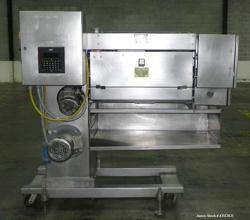 Used- Kensol Electrically Heated Indirect Oven. Approximate 38" wide x 204" long belt. Includes a control panel with eurotherm controllers.